With Shami and skipper R Ashwin accounting for 17 wickets, Kings XI Punjab will need the two overseas bowlers to take wickets and not leak too many runs in doing that. They have not played Mujeeb-ur-Rahman in too many games, and therefore, it is up to Viljoen and Tye as well as Curran to make significant contributions. Some nightmares recur and haunt in the daytime as well. Kings XI Punjab (KXIP) need no reminders of how their Indian Premier League (IPL) 2018 season incurred a free-fall that saw them slip from the top of the charts to the seventh place. 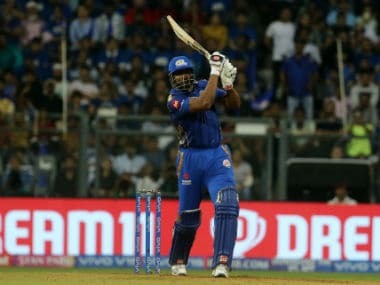 But their narrow loss to Mumbai Indians (MI) — it may be appropriate to say, Kieron Pollard — on Wednesday forced some freeze frames from the past season. 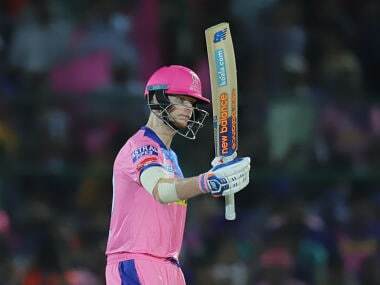 With Pollard stealing KXIP's chance of adding a fifth win from seven starts with a display of sensational, if clinical, hitting, the visiting team was left wondering how their bowlers could not defend nearly 200 runs. Yes, the dew factor was not a small one, but there can be no doubt that they could have won the game had their overseas bowlers been more effective. 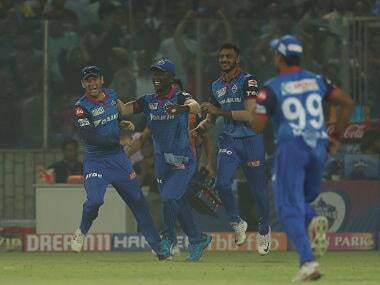 Of course, Mohammed Shami bowled superbly with the new ball — conceding just four runs in the two overs to Quinton de Kock and knocking debutant opener Siddhesh Lad’s leg stump back — and returned to deliver two quality overs in the death, prising out the Pandya brothers, Hardik and Krunal, to drive Mumbai Indians on the backfoot. 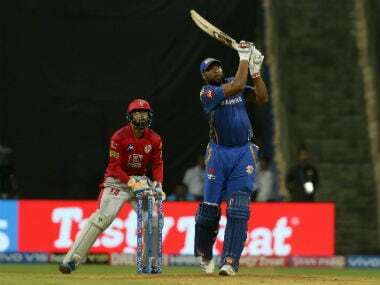 You could argue that Pollard was unstoppable at the Wankhede Stadium on Wednesday night. But of course. Yet, KXIP could have been helped if Hardus Viljoen had contributed with a wicket or two in his four overs. And more, if Sam Curran had picked a leaf from the other fast bowler’s books by mixing his deliveries to Pollard rather than bowl a fuller length nearly all the time. Curran’s yorkers to Pollard were few and far between, the two he delivered in the blockhole evoked respect from the big-hitter. Come to think of it, once the Pollard mayhem began, Curran did not even employ the short ball. 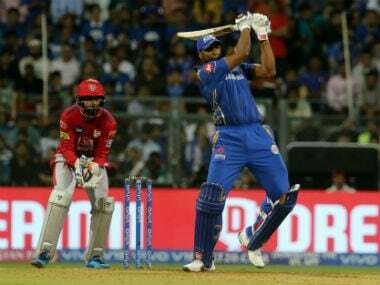 He had been hit for a six off the last short-pitched delivery he bowled to Pollard and that seemed to prompt him to not try it again. Kings XI Punjab’s overseas quick bowlers — Viljoen and Andrew Tye — have not been that effective in taking wickets. Curran has claimed seven victims, but his high economy rate has hurt the team. Until this conundrum is resolved — with more conversations featuring Shami — Kings XI Punjab will find it hard to insure against eight not-so-effective overs every game. 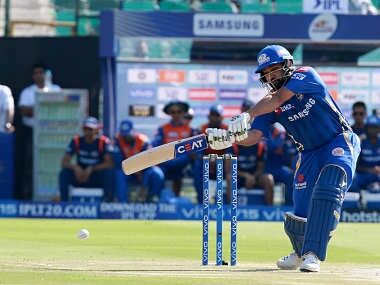 It becomes more imperative in games in which Ankit Rajpoot is unable to come to grips, not so much with scoreboard pressure but with being unable to get the cricket ball to do his bidding in the end overs. 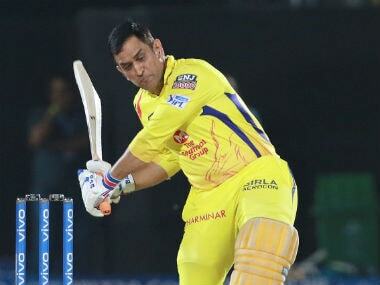 If he is unable to chip in consistently, KXIP will have to consider including M Ashwin or Varun Chakravarthy as the second spinner in the XI. It would not have been so glaring this season had either Viljoen or Tye hit the ground running. But the duo has six wickets between them so far. Worse, they have conceded 9.14 runs an over in the 27 overs that they have sent down. Clearly, this is hurting the Kings. With half the season gone, KXIP are searching for the Tye who claimed the IPL Purple Cap for taking the most wickets in the last edition. It will be hoping that the Western Australian paceman regains the cutting edge sooner than later so that they can stay on track to pick up a berth in the playoffs. He has not looked the incisive bowler who fueled Kings XI Punjab dream last year. And if he does not regain his probing methods, Kings XI Punjab’s batsmen will have to revise their tactics and score more runs than against Mumbai Indians. KL Rahul may possibly look back at his own unbeaten century and recognise that he could have hurried things up just that bit to ensure that the team would have some extra runs to counter the impact of the dew on his team’s bowlers. Also, skipper Ashwin would like to cast a glance at his decision to send in Karun Nair, making his maiden appearance this season, to bat ahead of the pocket-powerhouse Sarfaraz Khan. With Mayank Agarwal sitting out of the game with a finger injury, it would have made sense for Kings XI Punjab to have either Mandeep Singh or Sarfaraz Khan bat at the fall of David Miller’s wicket. Such tactical mistakes tend to be papered over by more obvious failure of the key bowlers and that is the reason why Viljoen and Tye will have to find the wicket-taking line and length to bowl at in the second half of the tournament. It would be hard to imagine Kings XI Punjab in the mix towards the end of the league stage if these bowlers do not cope with the challenges. 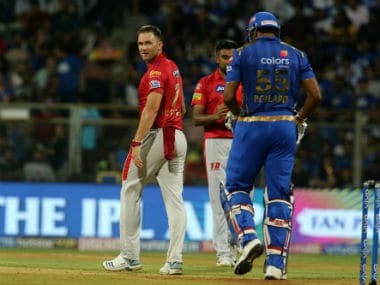 Even in this age when most Twenty20 memories are short in keeping with the nature of the match itself — and the boundaries at some venues, if one may add — it is hard to forget that Kings XI Punjab had declined so rapidly in the second half of the last season that they sank to the seventh place by winning just one game. They will not want to renew such nightmares this season.